Batman knows how to party! We'll say this for Batman, the caped crusader sure knows how to party! 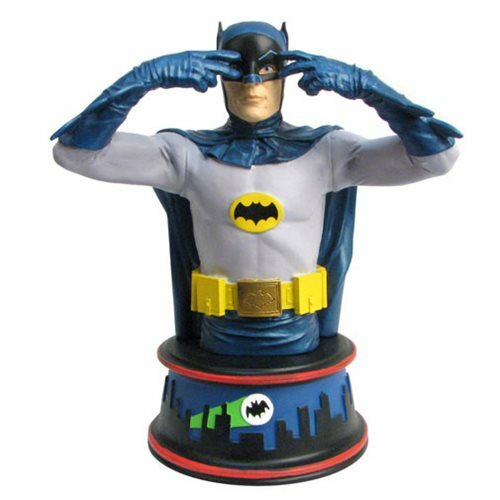 Based on a particularly classic episode of the Batman Classic TV Series, this exclusive resin bust features Batman doing his "Batusi" dance moves, which soon became a pop-culture touchstone. Measuring approximately 6 inches tall and featuring the likeness of actor Adam West, this bust comes packaged with a certificate of authenticity in a full-color box. Ages 13 and up.